Think of your favorite poem. Maybe you can only remember a few lines. But for a moment, try to hear them in your head. Close your eyes and see the words. Now imagine what it would feel like to walk inside that poem. What would that space look like? How would you navigate it? For the poetry of DEAR ESTHER, a grey windswept island serves as a perfect manifestation of all its despair, delirium, and hope. It’s one of the best examples of lyricism in level design I’ve played. Greetings from the Spatial Representation of Grief. 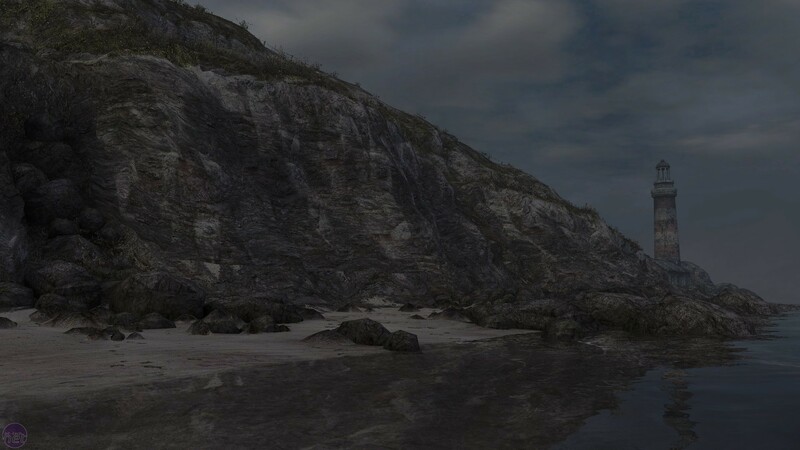 There are seemingly only two ways to interact in DEAR ESTHER — walking and looking. Outside of the analog sticks, pressing any button will zoom in on whatever you happen to be looking at. By making every button serve the same function, the player’s first stuttering steps are given meaning beyond learning how to play. It communicates a message that this isn’t a game about pressing the right button at the right time — because all are correct. Any key will open the lock. 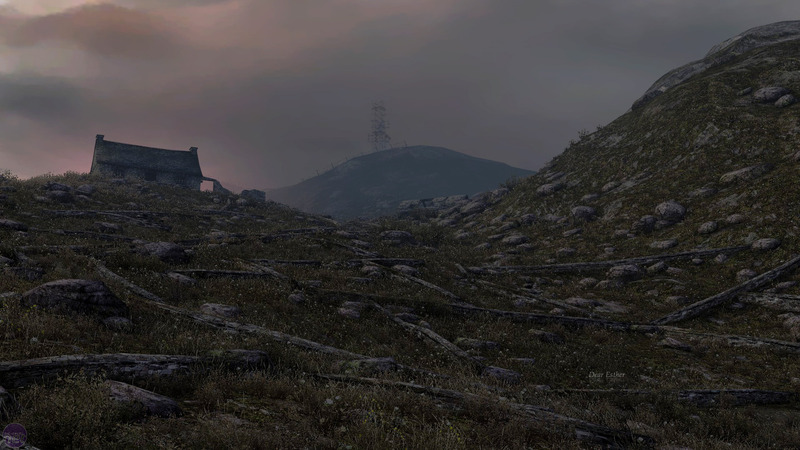 Consequently, the player has to develop their own reasons for walking along DEAR ESTHER’s path. This existentialism is the operative play and story mechanic of the game. As you trek across the island, listening to more letters (or are they? ), you try to put together an answer to three vital questions: why am I here, where am I going, and who am I? Even If I knew, I wouldn’t spoil it for you here. 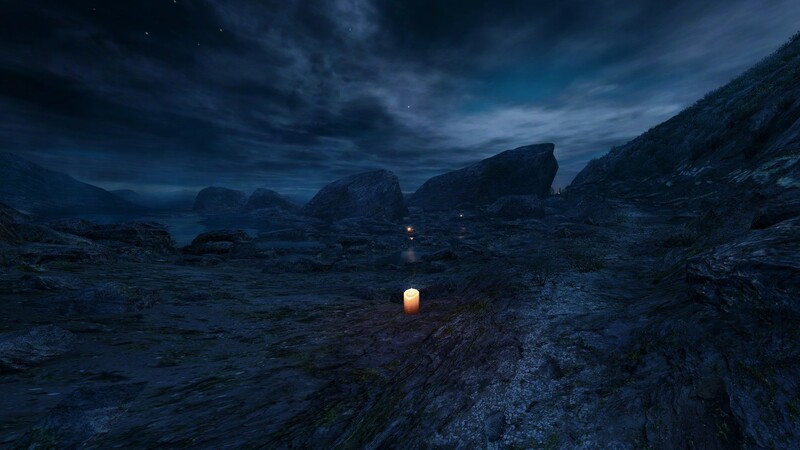 The favorite adjective to hang on DEAR ESTHER is “elegiac.” The word definitely describes its mournful atmosphere. But the game isn’t just elegiac in aesthetic, but in form too. As a poetic style, the elegy has evolved a lot over time. For the Greeks, it originally referred to any verse written in couplets of hexameter and pentameter. The rise and fall scansion meant to capture strong emotion. By the 16th century, the form had become associated largely with lamenting the dead. You’ve likely read one modern example, Elegy Written in a Country Churchyard by Thomas Gray, which is an elegy in subject but not form. 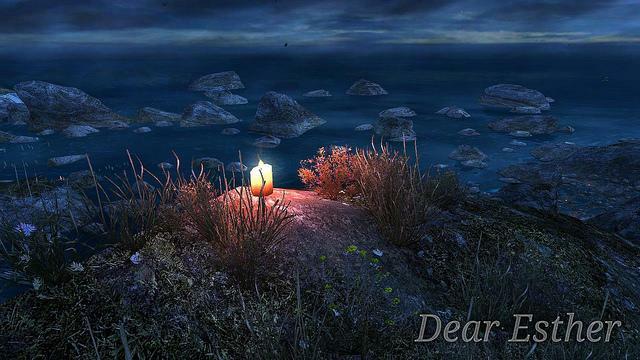 No doubt, DEAR ESTHER laments the dead. But we also see the structure of the elegy expressed in the game, and in a way that is rare to the medium — as an experience. Much like THE WITNESS, DEAR ESTHER’s message isn’t handed to you through straight exposition or allegory, but solely through the context of your own actions. Basically, the player has one path to walk. Although the island seems to open up with the occasional scabby meadow or sunken cave, you never truly drift from the path. The environment feels both expansive and restricted. It’s in this feeling that DEAR ESTHER conveys the metrical discipline of the elegy, translating it into the language of video games. What was once a discipline of rhyme and meter is now a discipline of space and navigation. The clearest example of DEAR ESTHER’s lyrical design is that the obvious poetry (the letters) are triggered based on where you walk. Certain landmarks come paired with certain letters. You’ll probably miss a few, and that’s fine. The point is that you’ll begin to associate every craggy ridge and valley you walk over as a carefully designed couplet, a space paired with word, often with a free associative logic. One letter talks about a gruesome human skeleton as you walk through the sunken hull of an old ship; the driftwood planks resembling a rib cage. In a poem, you control your experience by pausing in the middle of a verse, interpreting its meaning; in DEAR ESTHER, you can turn your head, step forward and backward, look and listen. The triggering mechanic turns the world into a poem waiting to be heard, where every move is an act of writing. If none of this has convinced you to play this game yet, here’s my last card: The secret to enjoying and understanding DEAR ESTHER is communicated the moment you realize you’re playing it. When I start it up, I see a chapter menu laid over an image of sea-side cliffs. I hit play and the menu fades away. Then, a posh british man begins to read a strange letter aloud: “Dear Esther, I sometimes feel as if I’ve given birth to this island…” Eventually he finishes. The waves continue to pull at the cliffs. This goes on for maybe a minute before I decide to start pressing all the buttons — my character’s head turns, I move a step forward. I was already in the game. The frame was actually the first person perspective of my character. The truth was that I hadn’t been watching at all; I’d been looking this whole time.